Hoi An is one of the destinations in Vietnam where you can learn a lot about the traditional culture of the country while enjoying scenic beauty. 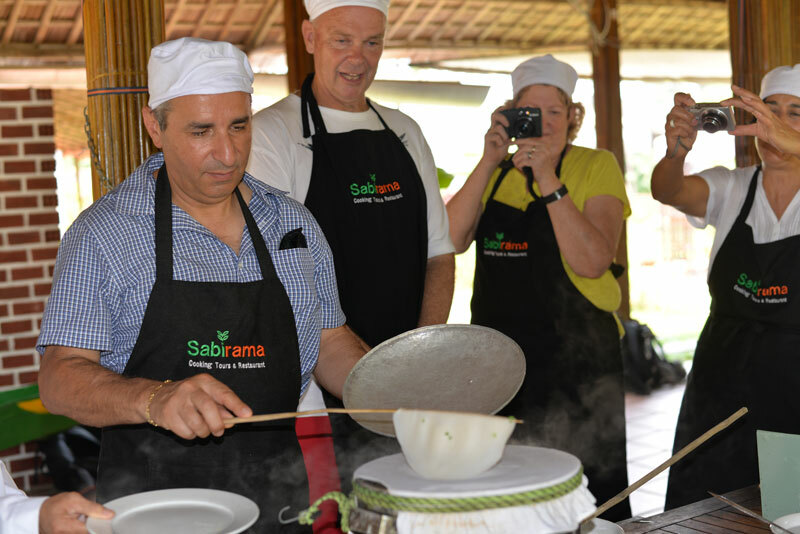 The Sabirama Cooking Tour is a great way to start, especially if you are travelling with kids and seeking a fun-filled activity during your time there. 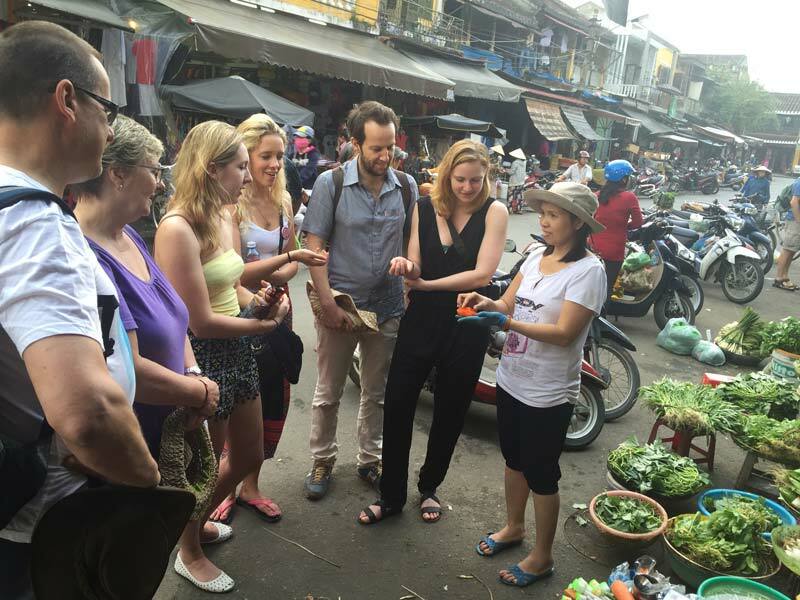 Centered on the idea of a proper Vietnamese culinary experience, the tour starts by bringing you from your hotel door to a nearby market, where you can meet local people in action. The tour guide will introduce you to the seemingly mysterious local ingredients, but feel free to just enjoy the market’s many colors and noises. 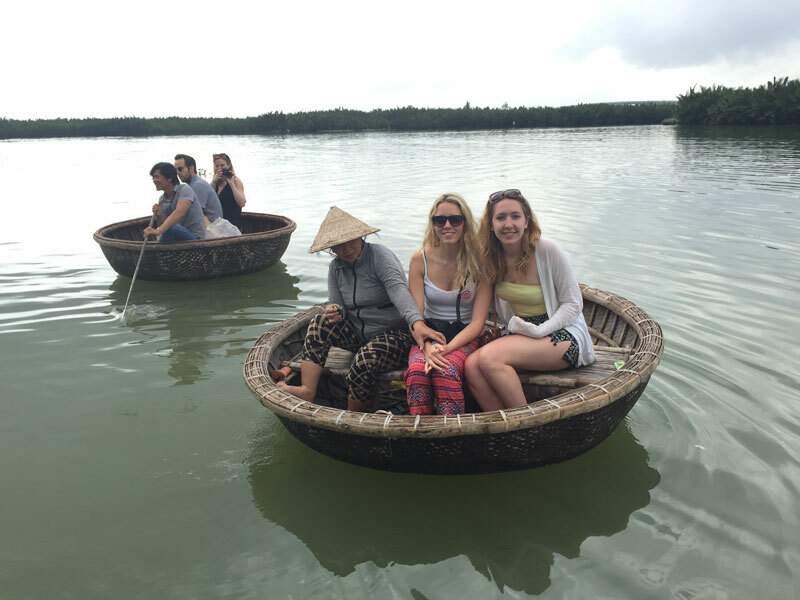 Next, be prepared for a fun trip up the Thu Bon River, to a water coconut grove in Cam Thanh Village, around 3 kilometres away from Hoi An’s centre. The journey includes an engine boat trip, a sail with bamboo basket boats, and a ride on water buffalo carts—each event completed in about 15 minutes. It gives you a sample of the daily transportation of local people in the countryside to and from the city’s big markets. Upon arrival, you will first take a welcome drink and sit down for a foot massage to help you relax after over an hour of moving around. After that, you will walk through a garden to the location of the cooking class, and prepare for yourself a four-course meal with the help of a local instructor. The menu includes rolled wet rice paper with minced pork and vegetable, Vietnamese pancakes, mango salad with seafood, and sautéed chicken with lemongrass and chili. Vegetarian options and other adjustments are available, so inform the tour operator in advance if these apply to you. You can choose to depart in the morning or afternoon. The morning tour picks you up at your hotel at 8 a.m. and drops you off at around 1 p.m. The afternoon tour begins at 1 p.m. and ends around 6 p.m.